She’s had moderate but clear success with her livestock. She was able to buy three turkeys in the last several months. They are valuable, sturdy animals that could make her a lot of money if she takes care of them. We gave her two goats, and now she has five, and her pig has a litter of six piglets. She worries about the piglets. Neighbors will have more and more crops in the ground in the coming weeks, and if they catch piglets in their gardens, they are likely to kill them. But she’s getting ready to put them into a pen, so if she keeps an eye on them, she should be okay. But she has to be careful. The six are part of her sow’s second litter. The whole first litter died. One or two were killed by rocks, and she suspects that the others were poisoned, though she can’t be certain. Conflict between her and her neighbors has, however, been an ongoing challenge for the CLM members who live nearby, and there are several of them. And, so, it has been a challenge for the three different case managers who work with them as well. It is a close-knit little neighborhood in some ways, full of siblings and in-laws and cousins. But it is as though their proximity combines with the stress of the poverty they all feel to create stresses in their relationships. They are strongly inclined to be jealous of one another and highly sensitive to real and perceived damages and slights. The case managers didn’t ever get to the roots of the problems in the community, but they help the women quiet things down. 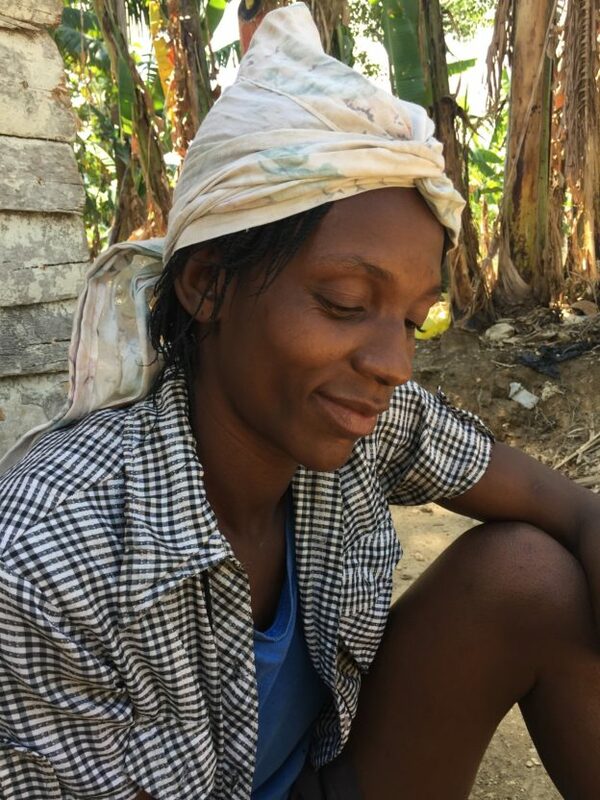 As Yolène’s neighbor Rosana told me, “I don’t get along with my sister-in-law and Denise doesn’t like Yolène, but there are no arguments anymore.” The case managers simply put their feet down, warning the women that they would no longer work with them if they couldn’t keep the peace with one another. We are hoping that the success they all experienced once they got out of one another’s way will help to keep the peace. Yolène liked a lot of things about the CLM program, but she especially liked the Village Savings and Loan Association. She took out two three-month loans over the course of the year. She used one loan for her children’s school fees, and the other to buy a bed. She wants to return to her small commerce soon. She buys groceries in downtown Laskawobas and sells them in the rural market closer by, in Kolonbye. But she borrowed the capital out of her business because she needed extra money to invest in her farming right away. It’s time to plant beans in the farmland she rented. 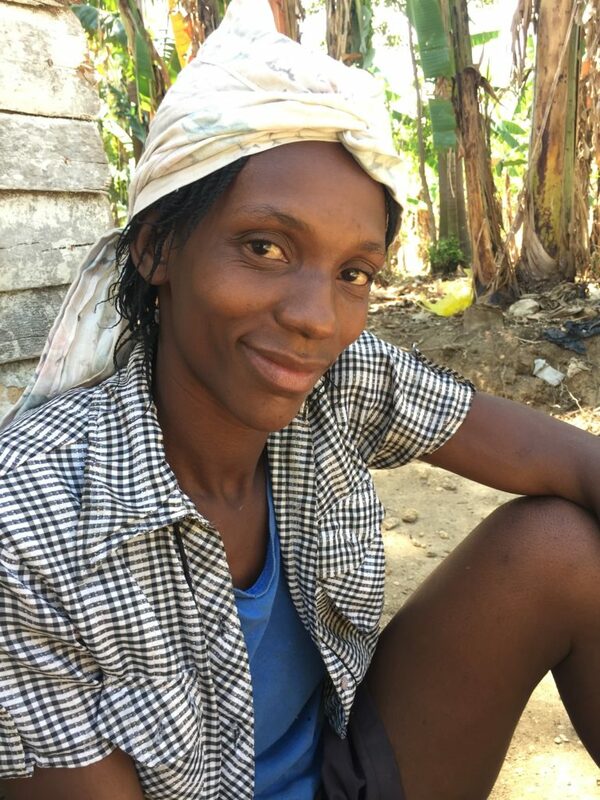 Her plans for the future are to keep working her land, and take good care of her livestock. She hopes to be able to buy a cow before the end of the year.